Kilimanjaro holidays joining safaris departures weekly, start point Arusha for Tanzania Northern National Park, Southern Parks safaris start at Dar es Salaam. 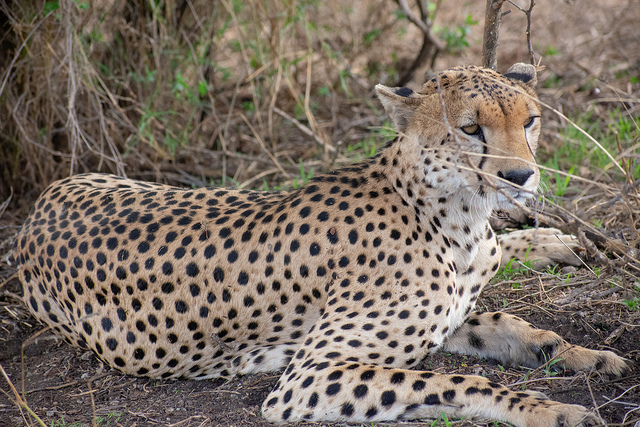 Our group joins Safari Adventure in vehicle safaris provide an outstanding opportunity to experience Tanzania’s and Kenya’s most popular wildlife parks whilst sharing the experience with likeminded travelers. We operate several departures each week. 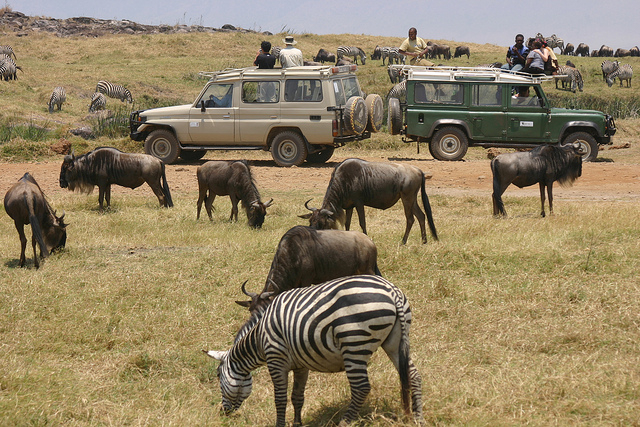 These safaris are an exceptional value because the cost of transportation is shared between all participants. A single traveler or a couple should find the savings are significant over a safari where transport is not shared. Of course, should you wish to have one of these itineraries on a private basis, we are more than happy to assist? The route below gives a quick taste of Tanzania’s most popular national parks. 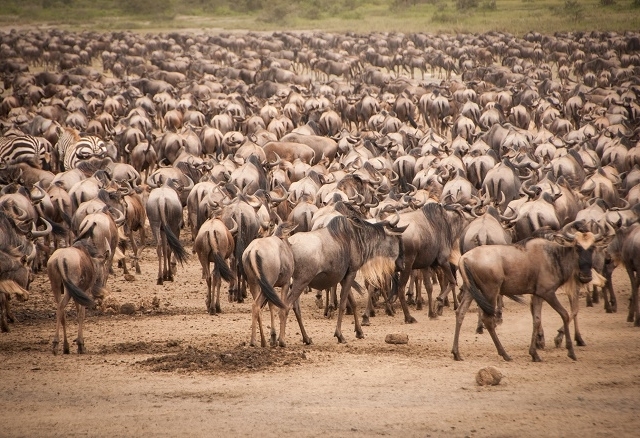 You’ll experience a short safari and wildlife, but it’ll be a busy week. Those who prefer a laid-back pace should spend an extra night or two in each park or consider flying between lodges and camps. This itinerary is not set in stone, as tour operators may visit these parks in a different order. If you’re coming from Nairobi and using a tour operator that operates in both Kenya and Tanzania, it may also be possible to visit Amboseli National Park en route from Nairobi to Arusha. • Meals as indicated (B=Breakfast, L=Lunch, D=Dinner). • Services of English-speaking driver- guide (or other specified other international language-speaking guide), and skilled cook (for camping safari). • Game drives in Land Rover/Cruiser safari vehicles equipped for luxurious game viewing and touring, with a guarantee window seat! 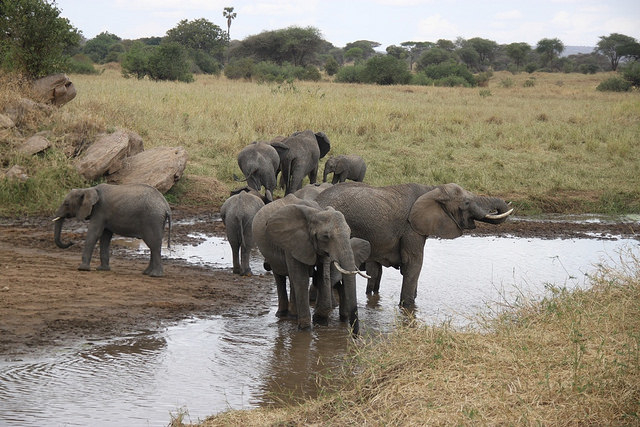 • Drinking water: Treated water on the safari, and bottled water on the safari. • Sleeping tent and mattresses on the camp. As your safari starts and ends in Arusha, it is essential to stay there the night before your safari departs. The busy commercial town lacks charm, but for the traveler there are a number of good souvenir shops and bustling markets where you can pick up some good-value Maasai curios. Arusha National Park offers good views of Mount Meru and is one of the few parks that permit walking safaris. 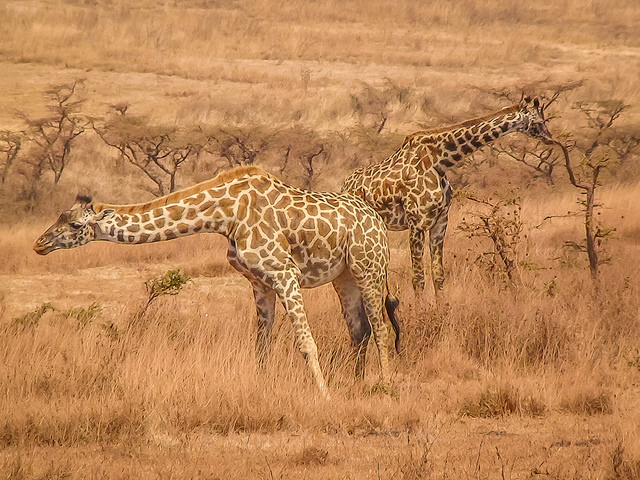 From Arusha, safaris head southwest through the coffee plantations and on to the plains, where you may see the Maasai grazing their cattle, and on to the Tarangire National Park, which is less than 2 hours’ drive from Arusha. The floodplains, grasslands, and acacia woodlands are home to a full range of animals, and the tall sausage and baobab trees are a favorite haunt of leopards and tree-climbing lions. The lodges here are a little less crowded than in the other parks. The following day, tours continue east where the road goes up the scenic escarpment overlooking Lake Manyara. 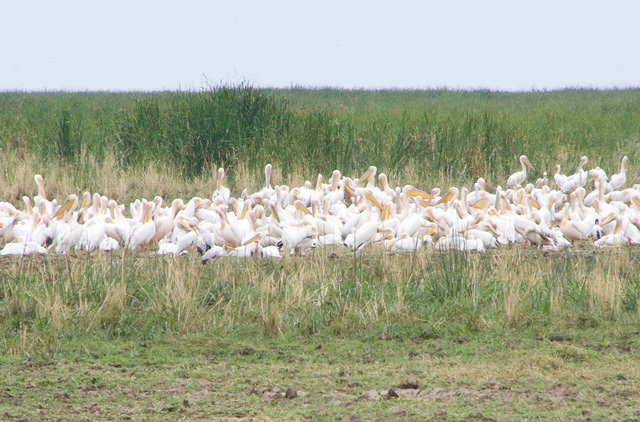 There are viewing spots to pull over and admire the lake, tinged with pink thanks to the thousands of flamingoes. From here the road steadily climbs the foothills of the Ngorongoro Conservation Area, and the vegetation becomes increasingly green and lush until you are in dense forest on the Ngorongoro Crater’s rim. After spending the night at a lodge or camp at the top of the crater, sink into the crater the next day for a half-day’s safari, where plentiful game-watching is virtually guaranteed. Back on the crater rim, the road spectacularly continues down the steep hill of the outer crater, where again Maasai can be seen stalking the open plains, before flattening out at the gate of the Serengeti National Park. Spend 2 nights here, where game drives across the sun-baked plains, dotted with piles of giant boulders, can be richly rewarding, particularly during the Migration. Backtrack on the same road across the top of the Ngorongoro Crater and spend a final day in Lake Manyara National Park. 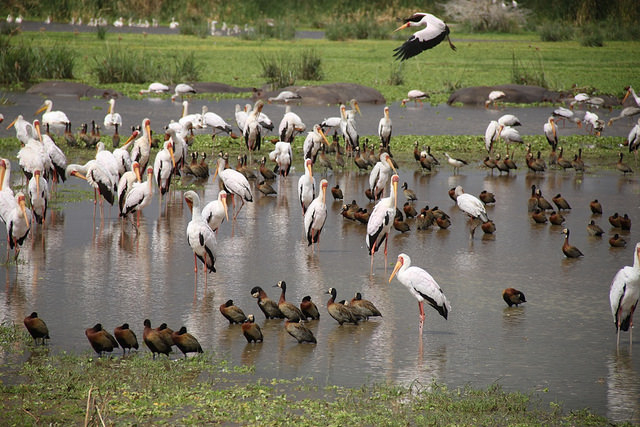 Lying at the foot of the scenic Manyara Escarpment and surrounding the lake of the same name, this park features acacia woodland, some ancient gnarled teak and mahogany trees, and grass and marshland. 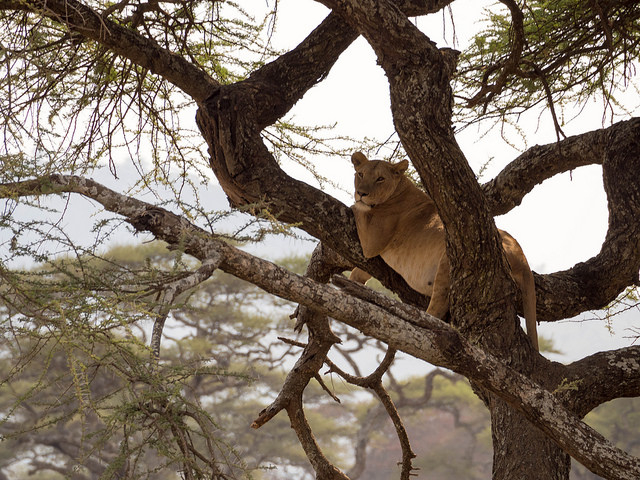 It’s home to a number of large animals and although rarely seen, is famous for its tree-climbing lions. Easily seen around the lake and on the cliffs is the rich diversity of birdlife. On the final day, return to Arusha. • We can also assist with accommodation in Arusha before or after the safari and add meet & greet service and transfers from Kilimanjaro International Airport if needed. • Send us an enquiry for latest departures.